Please Join Us: ENA Subarea Plan Launch! You are invited to the first Subarea Planning Committee meeting on August 16 at 6:00 PM-7:00 PM at the Elks Lodge (1818 4th Ave E). The Eastside Neighborhood Association is launching our neighborhood’s first Subarea Plan (Plan). 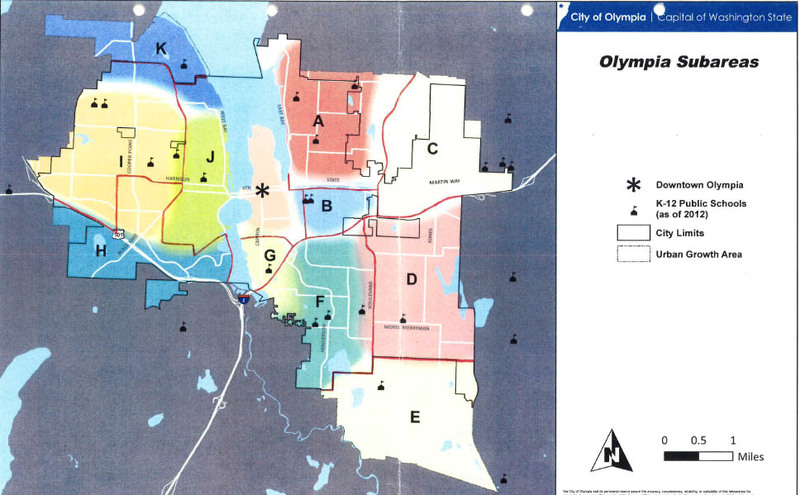 The Plan will help further the goals, policies, and values of Olympia’s Comprehensive Plan at the neighborhood level. It will include broad and diverse community participation to improve the aspects of our neighborhood that are important to us. This plan will lay the foundation for a neighborhood that provides an improved quality of life for all people who are a part of our community. To learn about or participate in this process, visit the Subarea Plan webpage on the ENA website. Questions? Contact Jim Sweeney: jsweendog@gmail.com. The Eastside neighborhood is represented as Subarea “B” on this map. Posted July 28, 2017 by Nathan Allan & filed under Uncategorized.